Huge one bed, one bath condo loft in Williamsburg's highly sought after full service Mill Building. 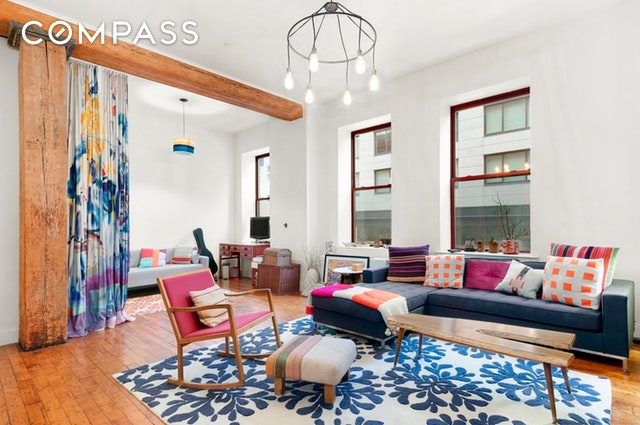 Huge one bed, one bath condo loft in Williamsburg's highly sought after full-service Mill Building. Exposed brick walls, hardwood floors and beams add a rustic industrial charm to the space, seamlessly blending classic elements with modern finishes for a timeless look. This is quintessential Williamsburg loft living at it's finest. Features include: Washer/Dryer in unit, Furnished Roof Deck, Video Intercom, 24 Hour Doorman.